We are an award winning, top ranked retailer for Kit Custom Homebuilders. Locally owned and operated since 1989, we have years of knowledge, skills and integrity to make your new home purchase a confident decision. Come in and give us a chance to give you the best deal on your new dream home! 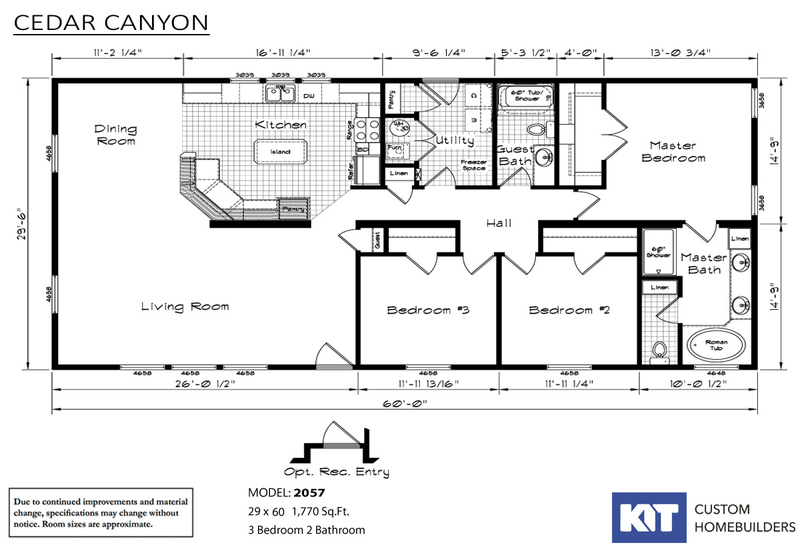 We have over 90 different floor plans available from Kit Custom Homebuilders. 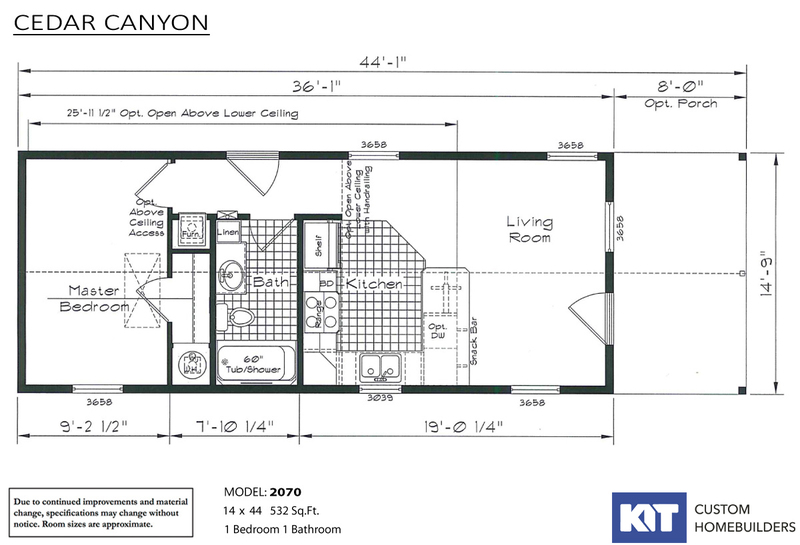 We sell manufactured homes (HUD Code) as well as Modular (IRC Code). 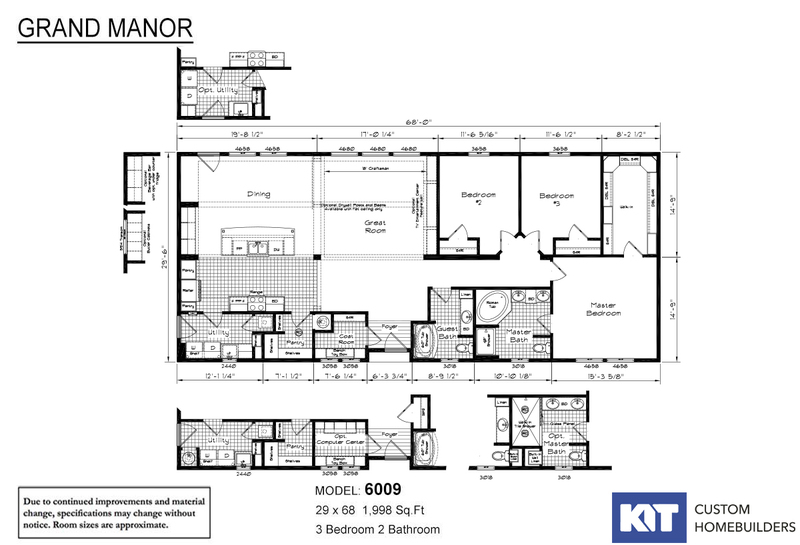 Each floor print is fully customizable, leaving you able to build the custom home of your dreams. Let us put you in the home of your dreams! 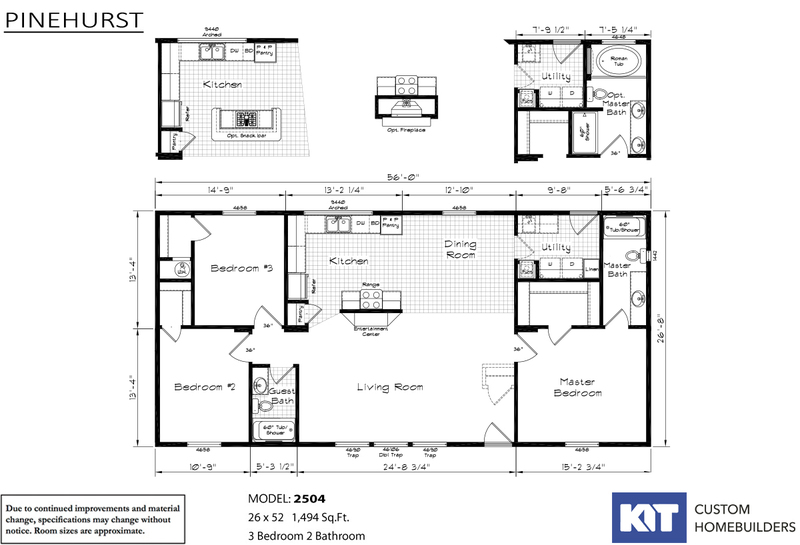 Nice three bedroom home with deluxe master bathroom and double closets in master bedroom. 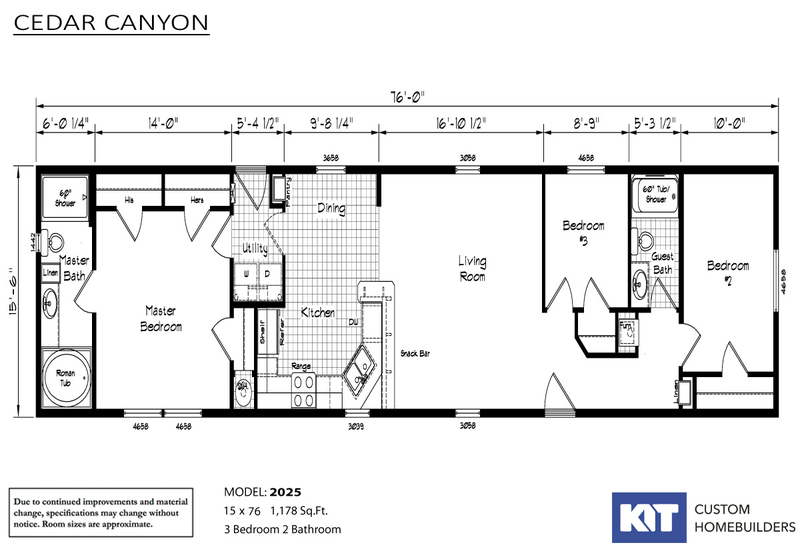 Fun one bedroom home that is great for the lake or as a mountain retreat. 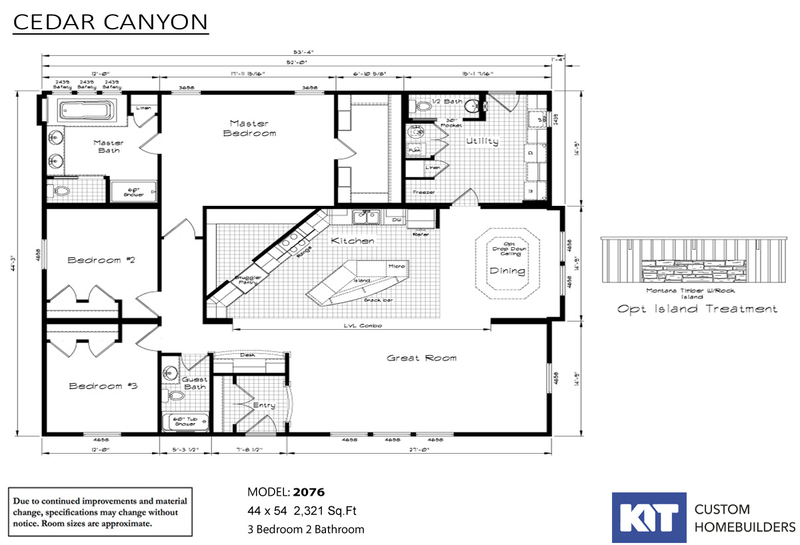 Home offers large windows in living room and dining room to take advantage of your views. Lots of windows over the kitchen sink to bring in great natural lighting.